This 10" Brass Advent Wreath is perfect for home use. Makes a great fund raiser for schools and churches. 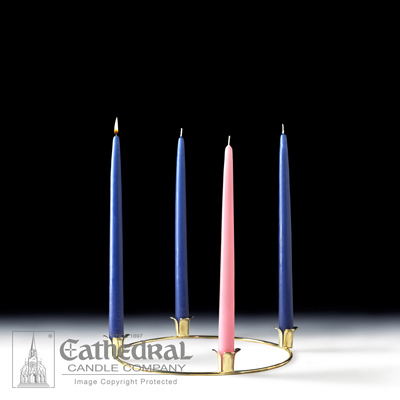 It comes with a set of 4 advent tapers - 12" long - 3 blue and 1 Rose (image shows purple candles).